People magazine has finally unveiled its official "Kim Kardashian Wedding Issue," complete with the bride's first "official" wedding portrait on the cover. Now that the dust has settled, the newlyweds have also had a chance to reflect a little on their big wedding day. "It was like we were in heaven," Kardashian told the magazine, adding she "felt like a princess" in her custom Vera Wang gown. 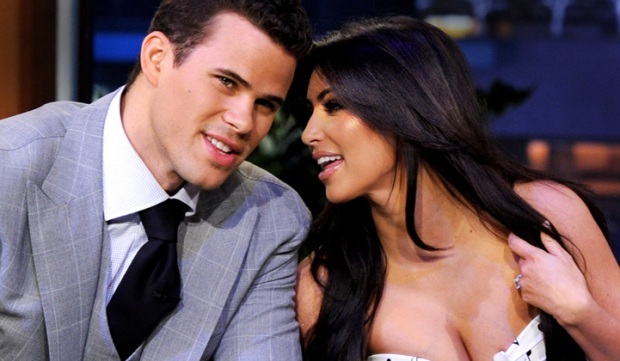 New hubby Kris Humphries concurred, saying he will always "remember how perfect it was." Despite the A-list guests, the media attention, and the eventual E! News special, Kardashian insists the day was and always will be a personal thing. The two-part special "Kim's Fairytale Wedding: A Kardashian Event" will air October 9th and 10th on E! The new issue of People hits newstands Friday.